In the final part of the Worcester Park Blog's Nonsuch by-election feature, Labour Party candidate Marcus Papadopoulos sets out his views on the key election issues. WPB: Tell us briefly about yourself, your connections with Worcester Park and what motivated you to stand in the byelection. MP: I have lived in Worcester Park all my life (30 years) and attended Cheam Common Infant School and Cheam Common Junior School. I have a PhD in Modern History and am currently the press officer for the League Against Cruel Sports, a position I have held for two months. Prior to this, I was the Europe Correspondent at Tribune-a national political magazine. I am also a freelance reporter and writer for Tribune, The Church of England Newspaper and Religious Intelligence (an on-line international news outlet). For eleven years I have been running the Worcester Park Karate Club at Cheam Common Junior School where I teach pupils from the ages of 5-65. I chose to stand in the by-election because I care for my local area and want to be the channel for the change residents are asking for, in particular regarding anti-social behaviour and traffic congestion. WPB: The dilapidated building at the Queen Victoria Crossroads is an eyesore creates a terrible impression of North Cheam. What action would you take to ensure that something is done about this? 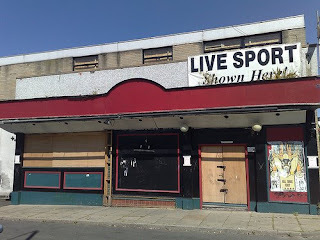 MP: I would press Sutton Council to take immediate action to remedy the appalling eye soar that is the dilapidated building at Queen Victoria Crossroads. While I understand it does take time to find companies/shops to move into premises, it should not take this amount of time. It is my contention that Nonsuch Ward is a forgotten area of the borough-out of sight, out of mind-and this is disgraceful. One possibility could be inviting a charity to open up a branch there, or indeed more than one charity. WPB: Traffic congestion is a real concern for anyone who lives in or around the Worcester Park area. What do you think the solution is, and what would you do, if elected, to ensure this problem is addressed? MP: While ensuring that people have a roof over their heads is imperative, Sutton Council needs to investigate more fully the implications of allowing large housing developments to be built which inevitably leads to, amongst other things, traffic congestion. Along with the current "WOW" (Walk Once A Week) campaign which encourages children to walk to school, an immediate step however would be to try and encourage even more parents to walk their children to school-a healthy practice not only for children but for parents too. This would undoubtedly help ease traffic congestion along Central Road, for instance. WPB: Do you share the feeling of many locals that North Cheam and Worcester Park are forgotten outposts of Sutton? If so what would you do to ensure that greater attention and priority is given to these areas at council level? MP: I do believe that North Cheam and Worcester Park are forgotten outposts of the borough. I would emphasise to Sutton Council that it has a responsibility-both legally and morally-to take care of all its areas and to listen to all its residents. WPB: Respect for politicians is at an all time low, as reflected in the dismal turnout for the recent Euro elections. Why does it matter that people vote in a council by-election? MP: Local elections are important as they provide an opportunity to residents to elect someone who will put forward and represent their most immediate concerns. And this can only be achieved successfully by electing someone who is local to the area and who has been there for a substantial amount of time. WPB: Local traders are having a really tough time, with many going out of business leaving an increasing number of vacant shop units in the area. What can be done to help local traders in these difficult times? MP: I believe there are numerous steps which can be taken to assist our local traders during this difficult economic period. Firstly, the council should advertise and promote the benefits of shopping locally through local media outlets, such as newspapers and radio stations. Secondly, there should be more late night opening hours which would help to generate local interest in local businesses and thus generate more local income. WPB: Apart from the above issues, what are your top priorities, or the main issues that you want to tackle on behalf of local people? MP: One of my main priorities is to eliminate anti-social behaviour. It is true that Nonsuch Ward is a generally speaking safe area but it can be and must be safer. It is simply unacceptable that people have been forced to feel intimidated in the evenings along Central Road, Churchill Road and in Fairlands Park and Cuddington Recreational Ground. Sutton Council needs to stop talking and start acting regarding this problem. I believe in a "zero tolerance" policy towards any individual or group of people who are intent on verbally and/or physically abusing passers-by or using acts of intimidation against them. More police officers and community police officers are required to patrol these areas, handing out more anti-social behaviour orders. Parents of offenders must also be held accountable. We need to start charging people with responsibility and holding them to that, with no excuses whatsoever. The future of Cheam Baths concerns me because it is important for residents to have an affordable and easy-to-get-to place of leisure. Cheam Baths have been serving residents for many many years. Sutton Council must immediately take action to either safeguard its future or provide an alternative. The fact that this is not happening is yet another piece of evidence which testifies to how our ward is forgotten and neglected by the council.